PLAY is a nonprofit agency dedicated to facilitating the wellbeing of families living with Autism. Focusing on healthy lifestyles by means of physical education and the development of essential social skills. Voceta Frempong is a graduate of Sheridan College with a background in Fashion Design and a Business Administration Diploma from troIS College. Her business and fashion background allows her to work in both the fashion and Business world. Since she found out her son Jr. was diagnosed with Autism Voceta gave up her fulltime job to stay at home and take care of her children Acacia and her boys Junior and Josiah who are both autistic, she as dedicated her time to raising money and bringing awareness to Autism, since 2009 she has raised over one hundred thousand dollars for Autism Speaks and Physical Lifestyles for Autism Youth. Her goal is to one day hear the words your child no longer has autism. Originally from Ottawa, Michael has lived in the GTA since 1998. Michael is a graduate of both the Marketing and Management programs at Humber College School of Business. After graduating in 2001, Michael began his career in Cyber Security Sales with MetaComm, which was later acquired by Herjavec Group where he continues to work today as a Senior Account Executive. Michael is also a board member of the Advisory Committee for the Management Program at Humber College, and lives in Pickering with his Wife, Nora and their Daughter, Meadow. Cherrylin lives in Mississauga, Ontario since 1998. She graduated from the University of Windsor – Sociology in 1994. With over 25 years of Administrative skills and experience at the Catholic Children’s Aid Society of Toronto, Cherrylin has held positions such as: Legal Administrative Assistant, Service Systems User Support, and most recently Project Lead for a project that will align and standardize all Administrative functions that support Family Service delivery, under a Change Management approache and using the ADKAR Model. Cherrylin holds the position of Secretary on the PLAY Board of Directors. Erin McLean is the SVP of Marketing and Communications for Herjavec Group, responsible for directing the brand, driving go-to market strategy and supporting internal and external communications. Prior to joining Herjavec Group, Erin contributed to the acceleration of some of Canada’s top brands at Virgin Mobile, Bell Mobility and the Canadian Olympic Committee. Erin holds a Masters of Business Administration from the Schulich School of Business. She competed in the 2008 Olympic Games, as a member of the Canadian National Softball Team. Born in Grenada, I migrated to Toronto at the age of 12 yrs. As a young man, I quickly developed an aptitude for sales and customer service, which became my platform to build a successful transportation company. With a strong team and a small fleet of trucks in the GTA, I was able to established great credibility within a growing Consumer Packaged Goods community. With over 20 years of business experience, I decided to leverage these skillsets and have since transitioned into the real estate industry. As a father I aim to teach my boys the importance of the 3 D’s “Dedication, Determination & Discipline “ in achieving their goals! While I enjoy making dreams come true helping my clients buy and sell residential and commercial real estate I do take the time to get a competitive round of golf in, and also give back to the community. Aisha Alexander, born and raised in the GTA, the oldest sister of two siblings and raised by West Indian parents believes anything is possible if you always try to do your best, put in the hard work, show respect and perform simple acts of kindness. These values have allowed Aisha to establish a meaningful career as seasoned HR professional. 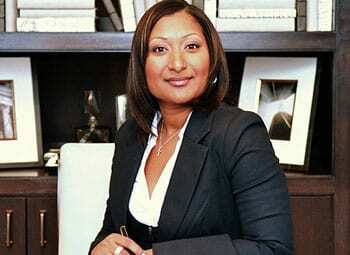 She holds a Human Resources Management Certificate from Humber College and is currently pursuing her B.A. in Business from Yorkville University. Aisha works full-time as a stand-alone Sr. HR Representative within the automotive sector while juggling the demands of motherhood of two young children. She has acquired years of HR experience working in both union and non-unionized environments within various industries such as manufacturing, logistics and pharmaceutical. “When I became a mother, my life changed for the better as I was now responsible for nurturing a person, my legacy and our future. As a parent, everyone should feel obligated to make sure that they provide the best support system possible to kids whether they are your own or not.” Kids with autism are different; they see the world different and being different makes them unique. Michael is a proud father of 2 children, a boy Michael and girl Madison. As a parent Michael believes that having rules is important but also feels that children must be given enough control to make mistakes and learn from them. Having previously owned and operated Night Clubs, Spa’s and a Fitness Center, Michael has gained the understanding of what support many businesses require. Most small businesses do not have the internal resources to execute on initiatives and require support from outside sources. Since 2009 Michael has built a boutique marketing firm called Mevo, located in Oakville ON Canada where they support all marketing needs. Michael’s passion is to help all businesses around the world no matter how big or small to be able to have a cost effective solution in order to compete equally for business market share. Jim Flack is the Athletic Director and Men’s Basketball Coach at Sheridan College. He has been named OCAA Coach of the Year six times consecutively, and was awarded the National Coach of the Year in 2002. Coach Flack is very active in teaching youth basketball clinics in both Canada and the United States. In his spare time, Jim plays and listens to jazz music and finds time for a game of golf. He and his wife Sheryl have a 13 year-old daughter, Riel, who is a point guard for the Brampton Warriors Basketball team.